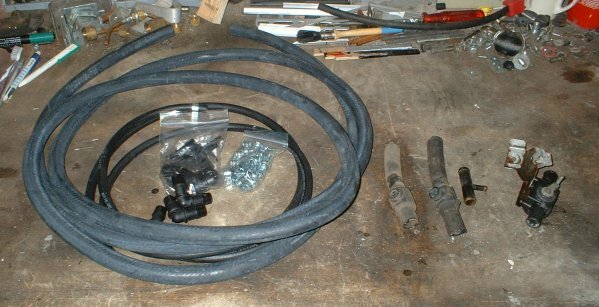 From left to right: 15 and 8 mm hose with clamps, corners and T-pieces. Two bleeding screws from two old peugeot 205’ers, a 15-8-15 mm T piece from an Alfa Romeo 33 and a heater hose valve form a Honda Civic ( I think..). 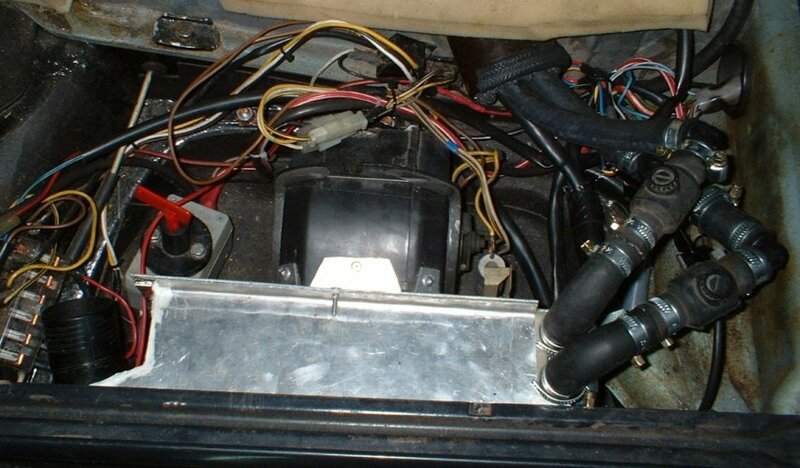 I intent to use the two bleeding screws for the heater matrix under the rear seat. I am not sure yet if I’m going to use the heater hose valve. I am thinking of using it as a winter/summer switch. I am afraid the heater matrix will deliver heat even when the fan is not on. Here is also a 15-8-15 mm T-piece in it. 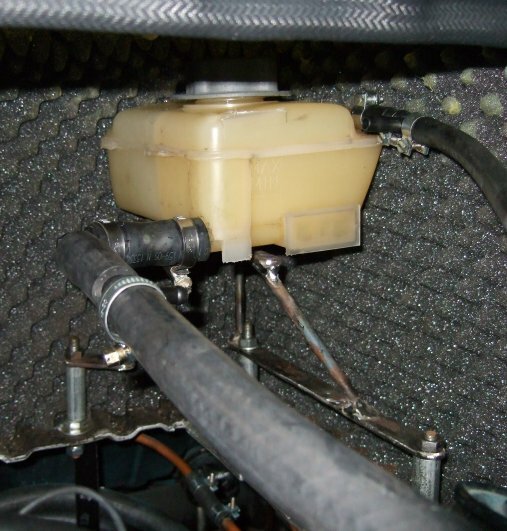 This is for the airbleed-hose that goes to the throttle body. 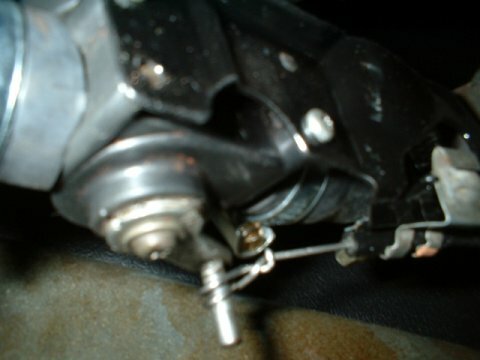 The bracket will keep the hose from hitting the gearbox. 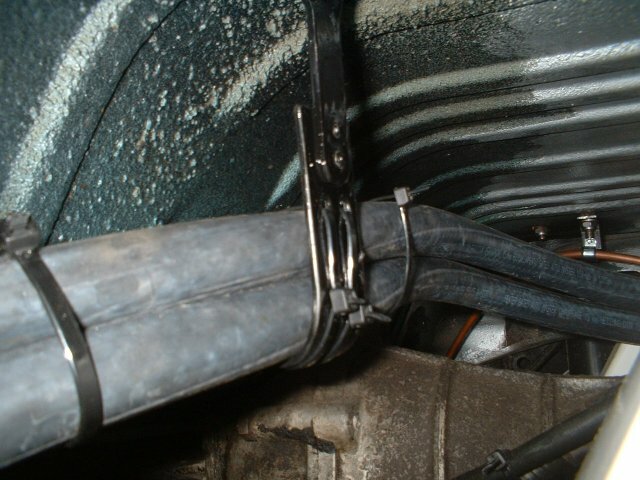 Here the hoses enter the cabin through the left old hot air channel. 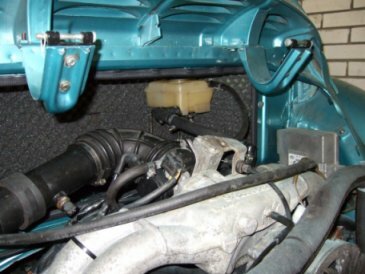 The aluminium piece is a heat-shield which will shield the gas-filter from getting hot from the hoses. The heater is connected. I put two air-bleed screws in the hoses. These are a high point in the system so I must be able to bleed the air out of it. I also placed a valve in the feed-line, it’s hard to see in the picture because it is partially hidden by the other heater hose. 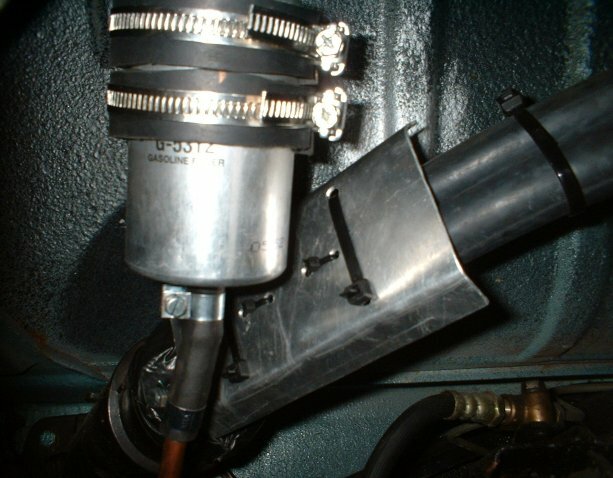 I want to connect the valve via a bowden cable to the original VW beetle heater lever. Now I can adjust the amount of hot water that goes to the heater matrix while driving. This Volvo header tank didn’t have a 8 mm connection under the waterline. 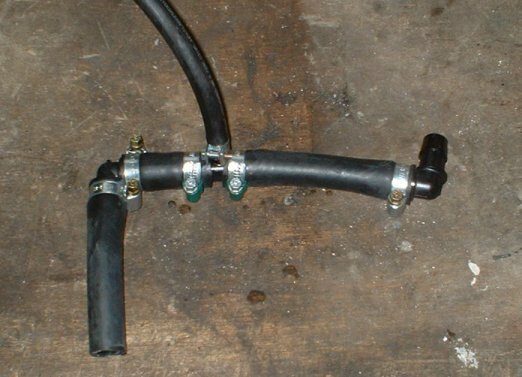 So I put a T-piece in the 15 mm fill hose, the breather line will be connected to the T-piece.